An architect by training, Edric Ong has designed several landmarks such as the Sarawak Cultural Village and the Kuching International Airport in Sarawak, east of Malaysia. 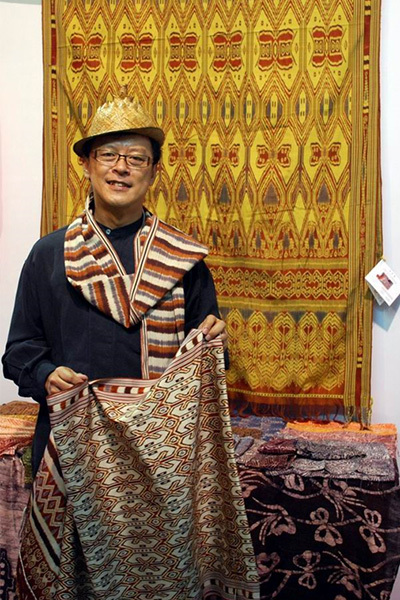 His interest in the heritage of his country has had him author books like Sarawak Style and Pua-Kumbu-Iban Textiles; Woven Dreams-Ikat Textiles of Sarawak. That brings us to his sartorial prowess. Steeped in the rich traditions of the Malaysian Ikat, Ong’s designs resonate his love for the traditional weaves and patterns of the Ikat of Sarawak. The way he rattles off stories and histories of the craft indicates his love for the heritage weave. His design vocabulary is extremely ethnic but garbed with a contemporary touch to increase its appeal to the discerning clientele he services all over the globe. The use of tassels, bamboo fibre and natural materials in his craft showcases his pride for the heritage of his country. The Ikat is mostly woven in cotton and the ties are intricate, colourful and detailed. “The focus has always been on eco-textiles such as silk, using ethnic methods and materials like ikat, natural dye, back-strap loom weaving and wood block. Apart from the separates, we like to create hand-printed scarves, stoles and wraps inspired by the Sarawakian ethnic designs and motifs. While curating the collection at the World Ikat Textiles festival, we took care to ensure that the time-honoured Ikat traditions are reflected in a wholesome manner,” elaborates Ong, flaunting one of his exquisite Ikat stoles sold under his eponymous label. Ong’s garments combine a touch of ethnic and Orient in contemporary innovative styles with the ingenious use of hand-woven silks and cottons. “The uniqueness comes from unusual elements like the hand-made rattan buttons. 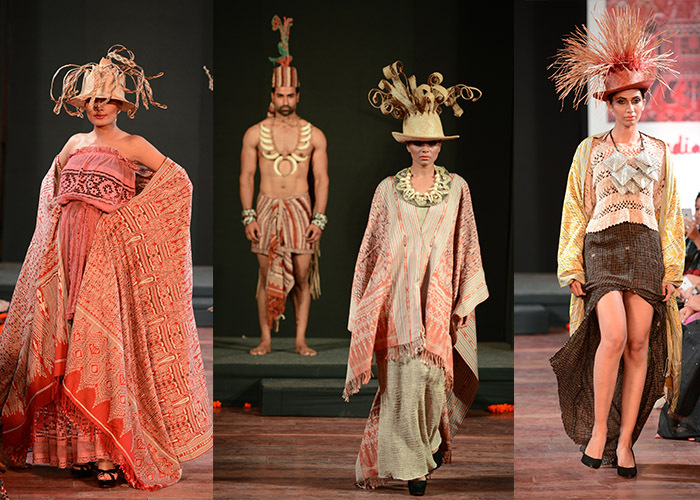 All my designs are inspired by the diverse traditional cultures of Malaysia,” says the master designer.